You've now added Napa Valley Wine Train to your itinerary. There's lots more to do: step off the mainland to explore Alcatraz Island, make a trip to Lombard Street, explore and take pictures at Golden Gate Park, and examine the collection at Exploratorium. To see maps, ratings, more things to do, and other tourist information, refer to the San Francisco route planning website . Use the Route module to see travel options from your home to San Francisco. In December, daytime highs in San Francisco are 59°F, while nighttime lows are 45°F. Cap off your sightseeing on the 24th (Tue) early enough to travel to Los Angeles. 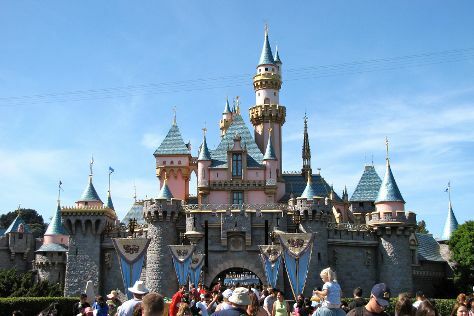 Step out of Los Angeles with an excursion to Disneyland Park in Anaheim--about 30 minutes away. Pack the 26th (Thu) with family-friendly diversions at Universal Studios Hollywood. There's lots more to do: see the interesting displays at The Getty Center, look and learn at Griffith Observatory, don't miss a visit to Santa Monica Pier, and get to know the fascinating history of Hollywood Walk of Fame. To find where to stay, photos, ratings, and tourist information, you can read our Los Angeles travel planner. Traveling by flight from San Francisco to Los Angeles takes 4 hours. Alternatively, you can do a combination of train and flight; or drive. When traveling from San Francisco in December, plan for somewhat warmer days and about the same nights in Los Angeles: temperatures range from 69°F by day to 49°F at night. Cap off your sightseeing on the 27th (Fri) early enough to go by car to San Diego. You've now added SeaWorld San Diego to your itinerary. Kick off your visit on the 28th (Sat): get in on the family fun at SeaWorld San Diego. Keep things going the next day: admire nature's wide array of creatures at San Diego Zoo and then take in nature's colorful creations at Balboa Park. To plan San Diego vacation without wasting time, ask Inspirock to design an itinerary. Drive from Los Angeles to San Diego in 2.5 hours. Alternatively, you can take a bus; or fly. In December, daily temperatures in San Diego can reach 68°F, while at night they dip to 51°F. Finish your sightseeing early on the 30th (Mon) so you can travel to Phoenix. On the 30th (Mon), trek along Bright Angel Trail. Here are some ideas for day two: explore the stunning scenery at Yavapai Point, explore the stunning scenery at Grand Canyon South Rim, then hike along South Kaibab Trail, and finally get great views at Mather Point. To find reviews, traveler tips, maps, and tourist information, go to the Grand Canyon National Park day trip planning app . Getting from San Diego to Grand Canyon National Park by combination of flight and bus takes about 8 hours. Other options: drive; or do a combination of flight and shuttle. You'll lose 1 hour traveling from San Diego to Grand Canyon National Park due to the time zone difference. In December, Grand Canyon National Park is much colder than San Diego - with highs of 45°F and lows of 15°F. Wrap up your sightseeing by early afternoon on the 1st (Wed) to allow time for travel back home.